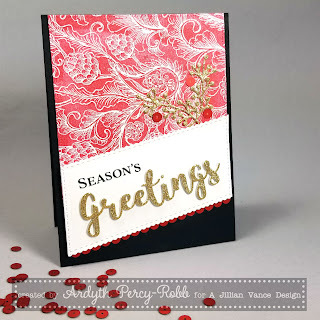 I'm on the A Jillian Vance Design blog today with this card that uses a new product - INKpression plates. And look how I used those flat sequins to create a border! Wow....this is one amazing and beautiful card.